Just like the wash hanging on the clothesline snapping and flapping in the breeze, a biker gets restless waiting to jump on the bike and go. Straining against those small wooden clothes pins just waiting for them to give way and set that pair of your favorite, faded old jeans free from what’s holding them back, dry or not, they’re gone. Whether it’s a weekend ride or a week-long trip, the closer it gets, the harder it is to contain the excitement. Who needs dry jeans anyway? Lets go! And “go” we do. Near and far – wherever the wind blows us. This time of year when the weather is a little more predictable, we gas up the old bike and load it down with whatever we think is necessary, just to feel that road through the seat of our pants. Where do we go when that day comes to ride? I know we all have dreams of where we want to go, and for some of us those dreams will come true when we hit the road. For others, we settle for that ride to somewhere, or anywhere that gets us out of here. It doesn’t take much to make any biker happy, but just knowing there is a possibility of some road-time in my future starts the motor running inside of me. The closer I get to leaving, the higher that motor revs as anticipation is a powerful thing. That leads to the bigger question here – Is it the ride or the anticipation of the ride that cranks you up? I enjoy that anticipation as much as anyone but once I get on the road I realize that the ride is what it’s all about. When the day comes to leave there isn’t enough clothes pins to hold me back, even though the days leading up to my departure had me feeling like I was being held against my will; those jeans are finally dry! We all have our reasons for when we leave and where we go, and in the end it doesn’t matter to the masses what those reasons are, as long as your laundry is done. Get excited this year and ride somewhere you’ve never been on your motorcycle. Go where you’ve always dreamed of going and don’t let anything hold you back. Those little things that hold you back are usually no bigger than a clothes pin anyway, so just go. You’ll be glad you did. 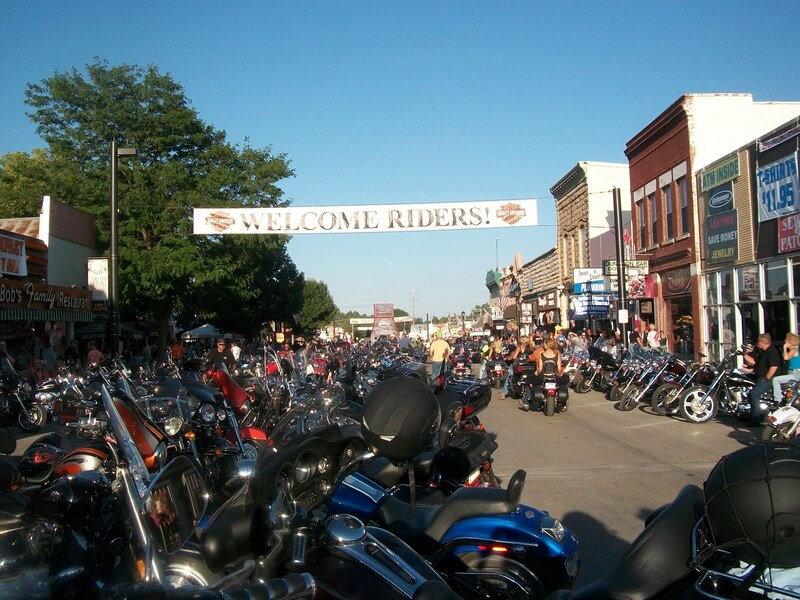 Well, it’s getting closer to the Sturgis Rally and plans are being made. There is always the buzz of first-timers and regulars who are planning to go, as well as talk of not making it this year. What to take, what not to take and what will be forgotten is always a subject of conversation but the reality is half of what you take you probably don’t need. Who’s to say that once you get there you’ll wish you had a particular item, but who cares, right? I forget something when walking from the living room to the kitchen and I do it quite frequently, so cut me a little slack when it’s a trip you make once a year. In the end, it is just a minor inconvenience, unless it’s the tent in which you are sleeping in. I don’t know about you, but even as plans are made and the trip is shaping up, there is always the “CANCEL WITHOUT WARNING CLAUSE” written into the Sturgis trip. It can be for even the smallest reason, but it is there right at the bottom of the list of things to pack. I’ve seen bikers call it at the eleventh hour and that’s okay – it happens. There will always be next year, and the same plans will be made, the same stuff will be left on the garage bench and the option to pull the plug will be there. Let’s just hope we don’t have to pull the plug. This year I plan on taking a couple of detours, maybe through Colorado for a change of scenery making the long way home a little longer. Again, plans change, but for the most part that is motorcycling. Who knows, maybe the trip to Sturgis will end up being a trip to Colorado and the Rally will have to wait until next year (not quite pulling the plug). The number one rule for riding your bike is there are no rules. Well, there are rules – just ask the State Police when they pull you over, but I think you know what I mean. Point the motorcycle in the general direction you want to go, and see what happens. The trip will make itself happen and you can sit back and enjoy the ride. We tend to complicate things more than they need to be and it’s those hard plans that make the trip, uh, harder. Nobody likes harder. So when you find yourself packing and making plans on where you need to be by a certain time, or telling yourself “I better not forget that” and “we should have been there by now,” you are forgetting what it’s all about. Go where you want, change your mind if you want to and let the ride happen. 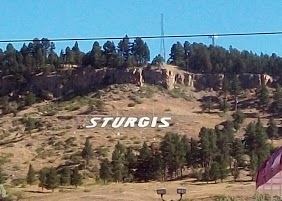 Sturgis? Sure. But I’ve always said Sturgis is where I turn around, it’s the ride that’s the best part. And what about the forgotten stuff on the work bench at home? It didn’t affect the trip one bit. There should be a Cabela’s down the road, shouldn’t we be there by now?